Hamentashen are wonderful little cookies filled with fruit filling and especially eaten on Jewish holidays. 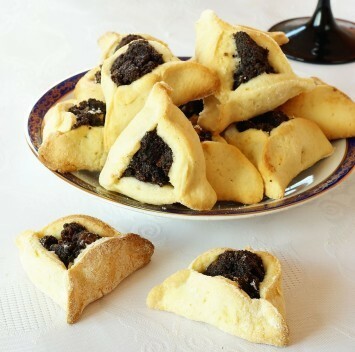 I don’t have a lot of Hanukkah recipes but these little gems are certainly among my favorite. Whether you want Jewish recipes in particular, or simply delicious cookie recipes, you want to give this one a try. They are quite amazing. Quarter 1 orange, but do not peel it. Process it in a food processor until it is chopped fine, about 25 seconds. Add 2 eggs, half the sugar and half the oil. Process for 10 seconds. Add 2 teaspoons baking powder and half the flour. Process with several on/off turns just until the flour is blended into dough. Do not over process. Dough will be fairly sticky. Remove from the bowl onto a lightly floured board. Repeat the procedure with the remaining ingredients. Cut the third orange into quarters, but do not peel. Process half the orange in a food processor for 20 seconds. Add half the remaining ingredients. Process until fine, about 15 seconds. Empty the processor bowl. Repeat with the remaining ingredients. Makes 2 cups of filling. To make the cookies, divide the dough into 4 parts. Flour each piece lightly and roll on a floured board to 1/4 inch thickness. Cut the dough into 3 inch circles. 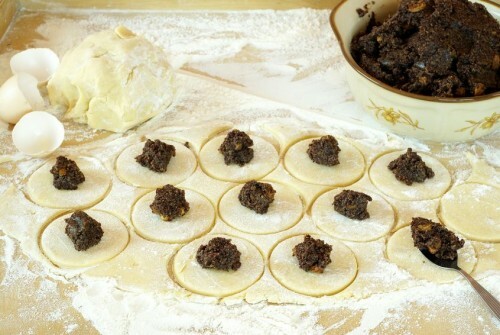 Place a spoonful of filling on each circle. Bring the sides towards the center and pinch to form a triangle (see the images below for how to shape the hamentashen cookies). Place the shaped and filled cookies on a greased cookie sheet. 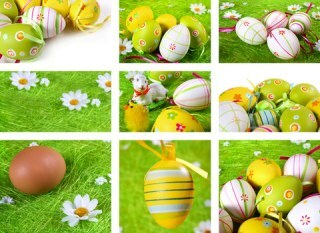 Brush them with an egg yolk which has been blended with 1 teaspoon water. Freezes well. Makes about 5 dozen. The filling may be prepared in advance and refrigerated for 2 days or frozen if you need to make it ahead of time. The filling in these cookies is actually quite healthy, with orange, dried apricots and just a little sugar. These little hamentashen make great little Hanukkah cookies or simply a treat any time of the year for all of us, Jewish and non-Jewish alike. What we refer to as Jewish recipes are often recipes that are shared by several Eastern European cultures, as that is where many of the Jewish people who developed these recipes came from. Part of my family is Austrian and these recipes are similar to some of the cookies my Grandmother would make. To me, learning about other people’s traditions and tasting their signature regional recipes is part of the joy of food. The more we learn about each other, even in terms of food, the more we come to understand each other. 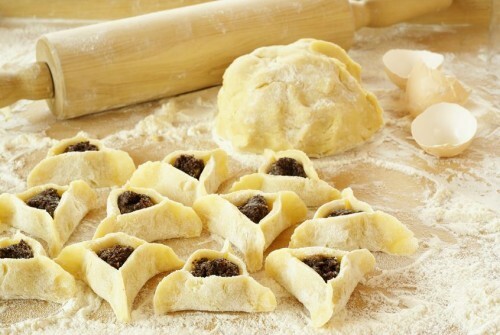 If you love these hamentashen, browse the rest of our cookie recipes here.